Ben and I went to the Real Canadian Superstore to get groceries in an afternoon, around 3PM. 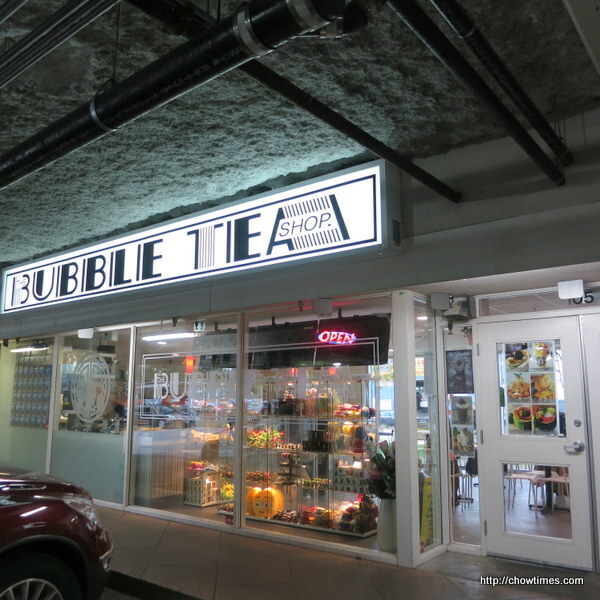 We had wanted to try the Bubble Tea Shop at the corner of the Real Canadian Supertore but it’s either we were there in the morning when they are not open yet or there are too many people in the shop. 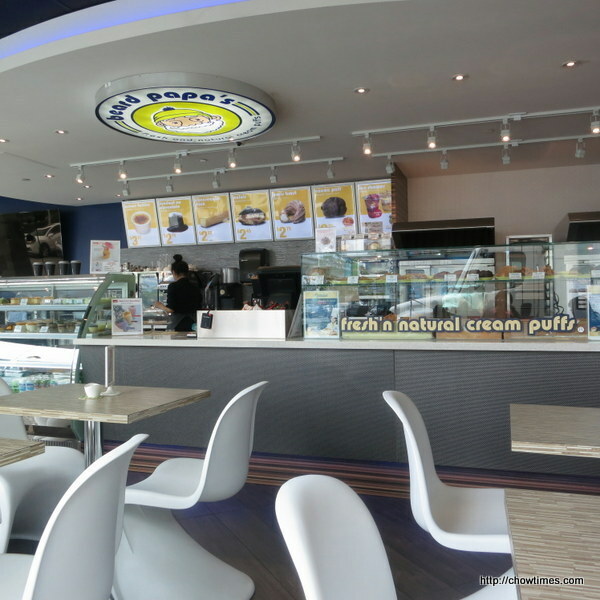 This place opens from 12PM to 10PM. 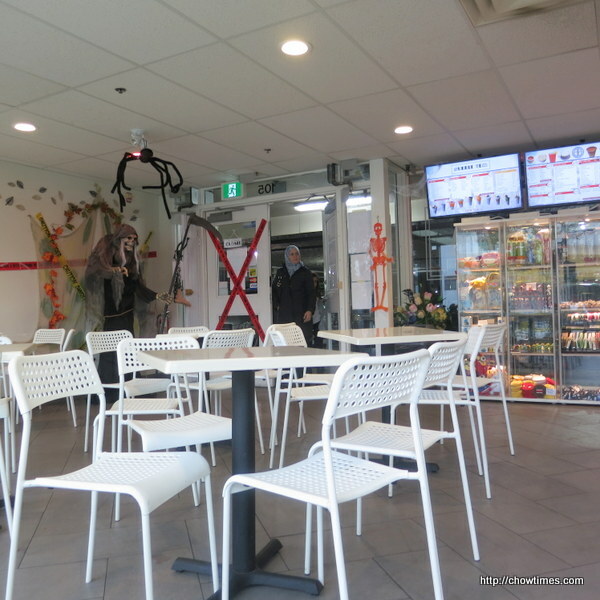 This day, we were surprised to see the shop was empty around 3PM. So, we decided to return our shopping cart and have a dessert to share first. 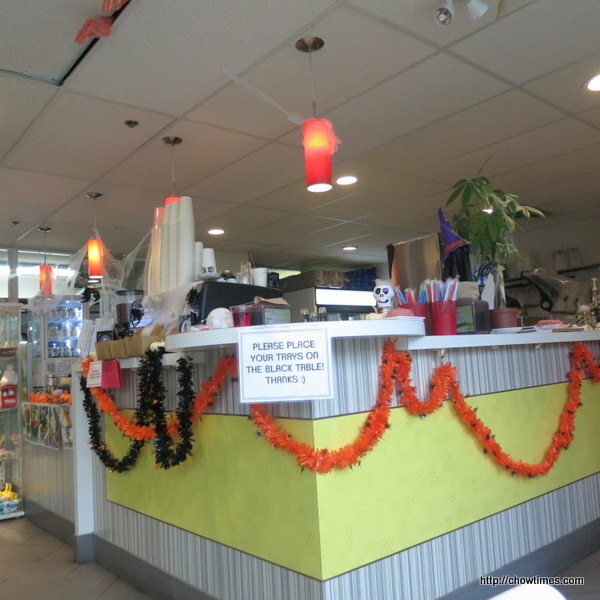 The shop was decorated with Halloween decor as it’s near Halloween. 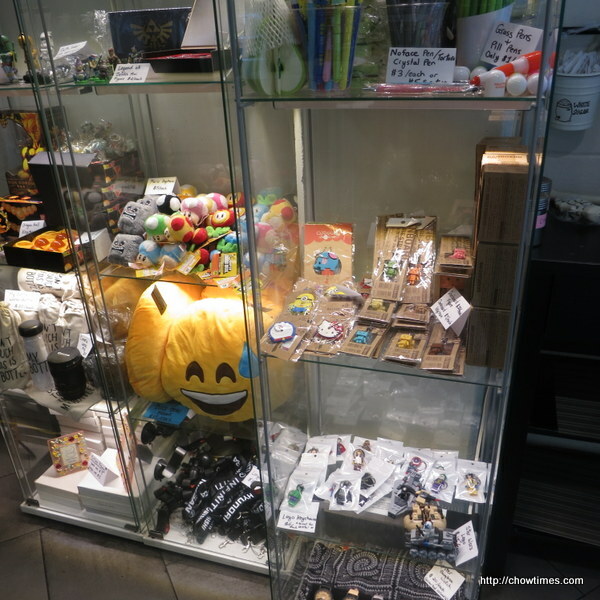 Besides dessert and drinks, the shop also sell a lot of cute comic character keychains, memorabilia, toys, gifts, etc. Polly, Whitney and I had the opportunity to meet up on a week day afternoon as they were both off work. 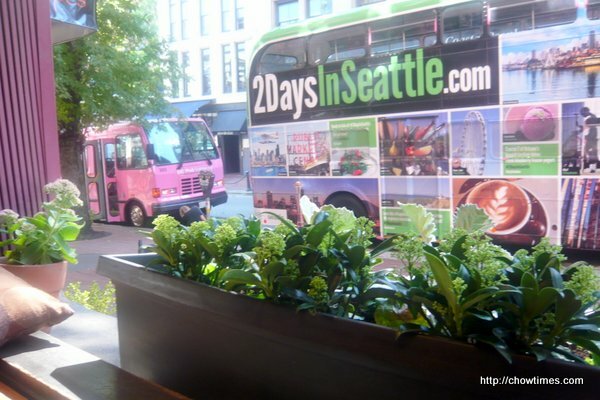 When coming to going to downtown, I usually meet up with Polly at the Bridgeport Skystation. On this day, Polly was almost an hour late as she could not find a parking at the River Rock parking. She drove around the parking lot for almost an hour before she can find a spot. Can you imagine that? 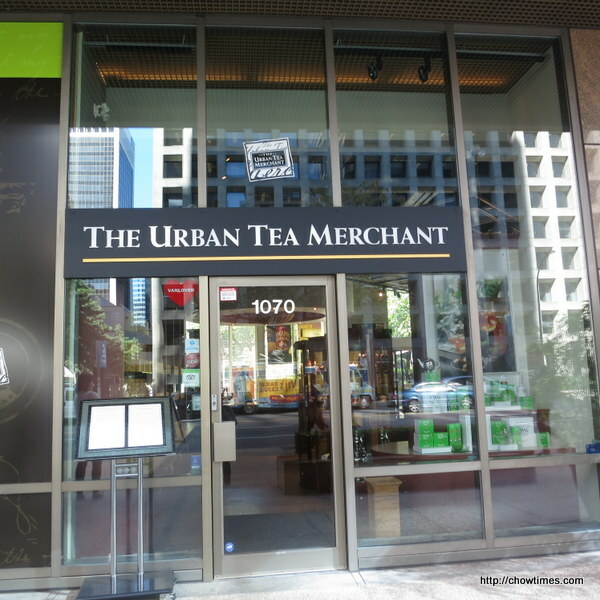 We met up with Whitney for high tea at The Urban Tea Merchant. Whitney had not had a high tea for years. 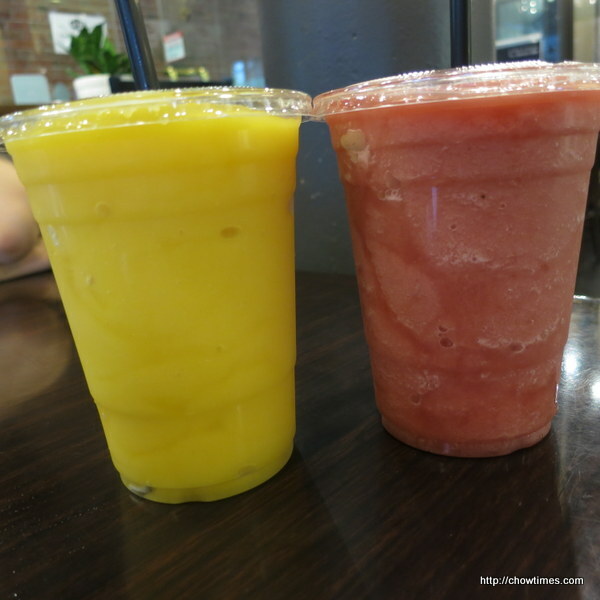 After lunch, Ben wanted to have a cold dessert in a summer day. 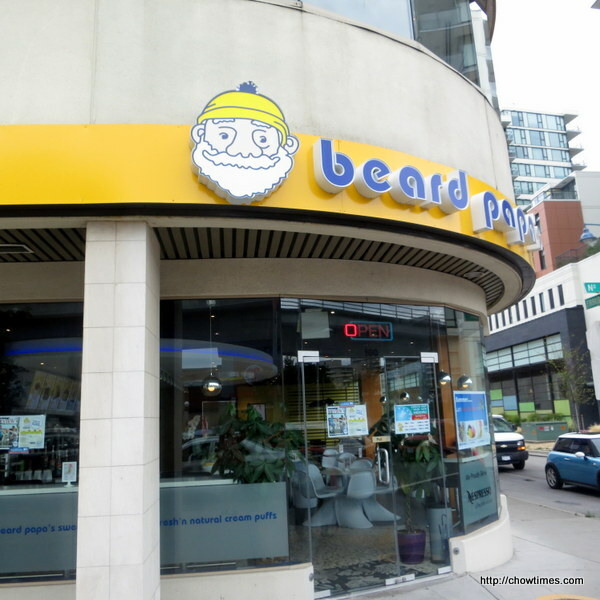 I suggested Beard Papas on No. 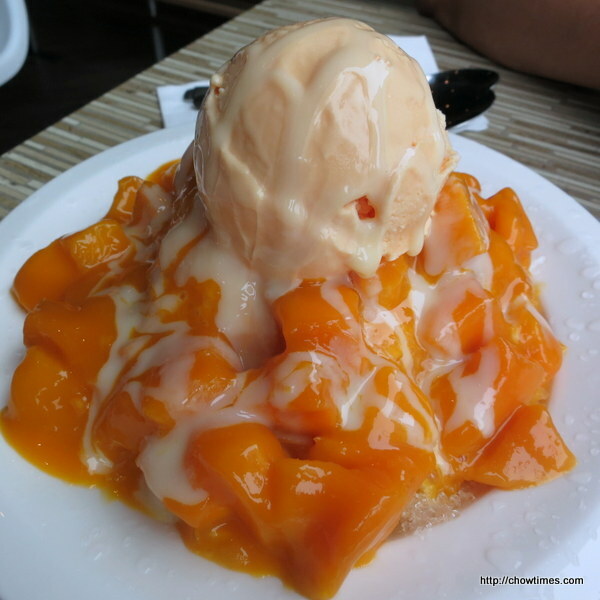 3 Road as I recalled seeing some mango shaved ice picture on it’s wall a while ago. This place is usually busy in the evening but it was quiet on the late afternoon when we were here. 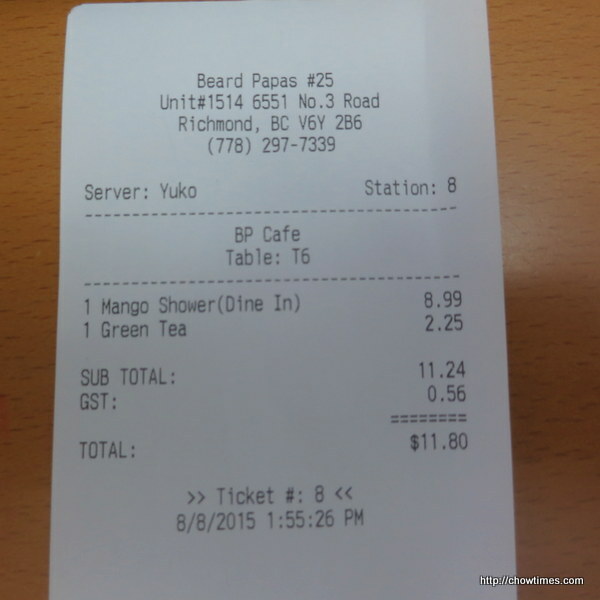 We ordered the Mango Ice Shower to share. It was a great dessert for summer. 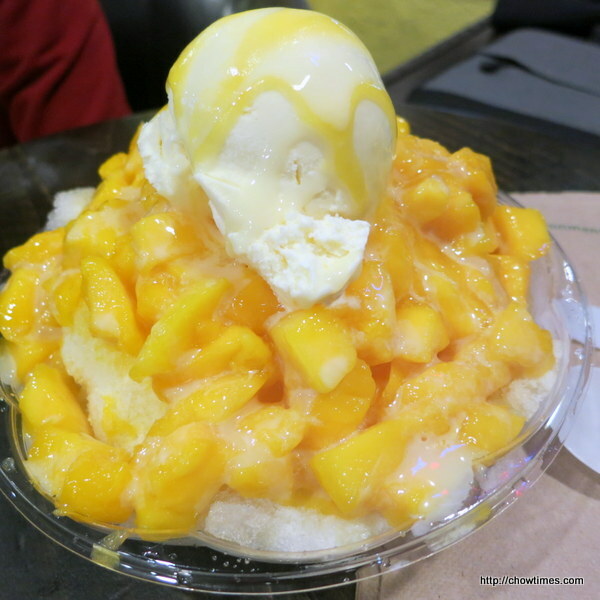 The ice-cream adds creaminess to the shaved ice. 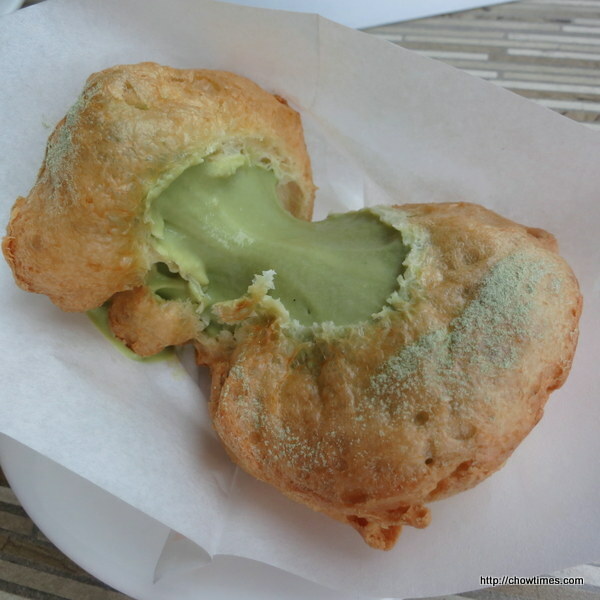 I also ordered a cream puff as cream puff is their specialty. 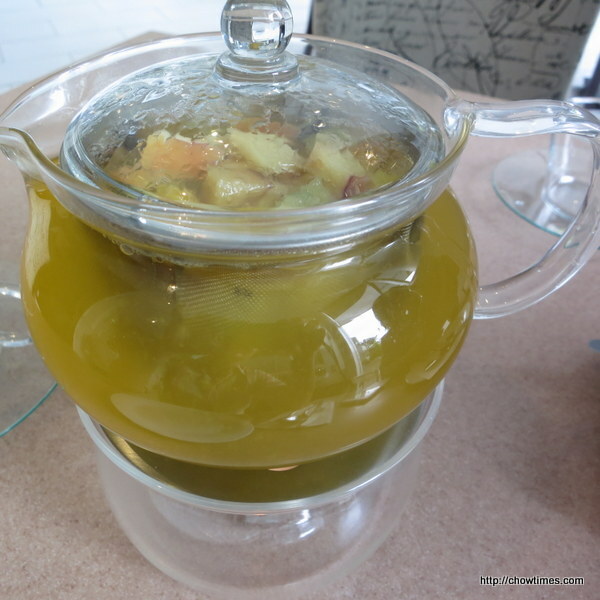 I ordered the green tea version which I quite enjoy. But Ben does not like it. 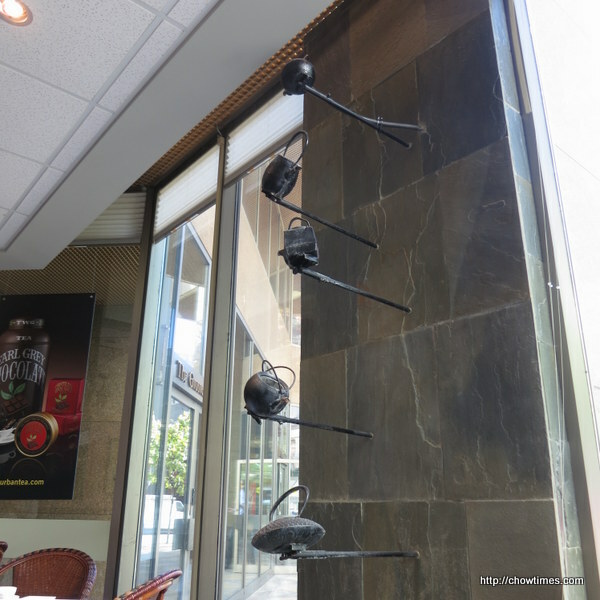 Besides what we ordered, there are also cakes, pastries and dessert cups. August is my best friend’s birthday. 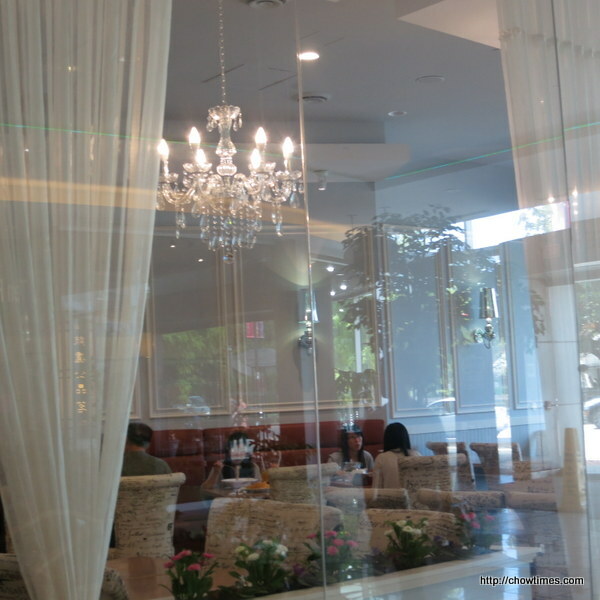 We went to Sugarholic Cafe to celebrate her birthday. 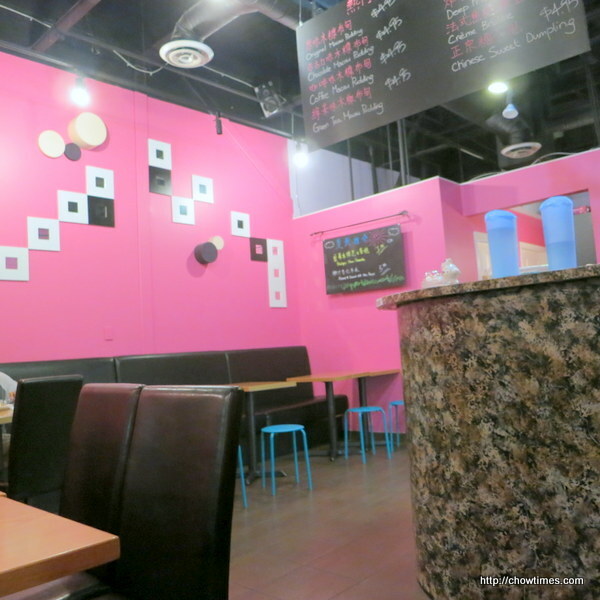 Sugarholic Cafe is an Asian style cafe which serves desserts and also Asian style dishes. We noticed the staff here are quite young looking. 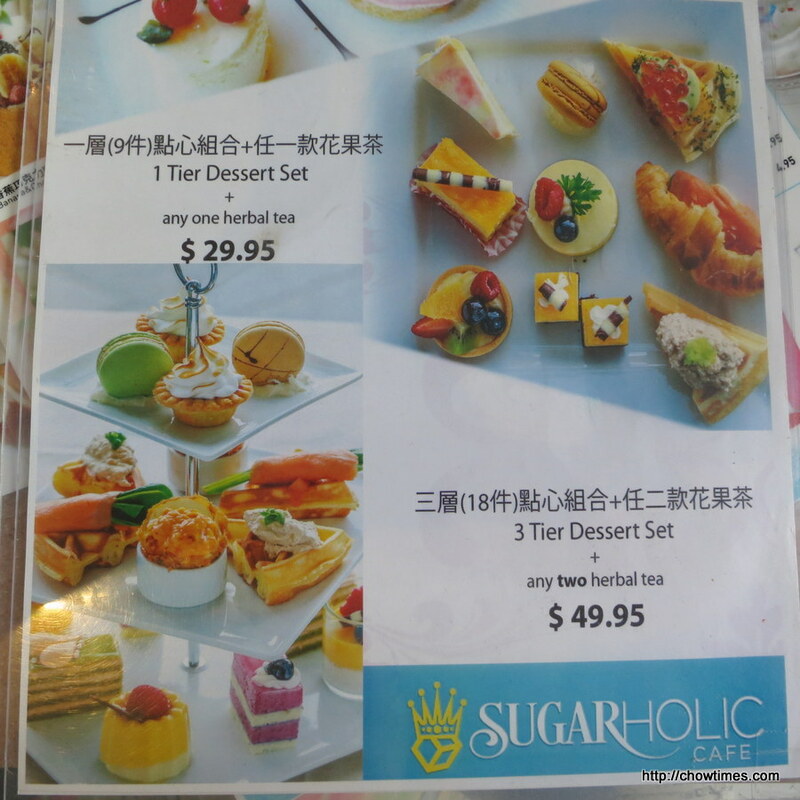 Since Polly loves little cakes, we went for the 3 Tier Dessert Set. 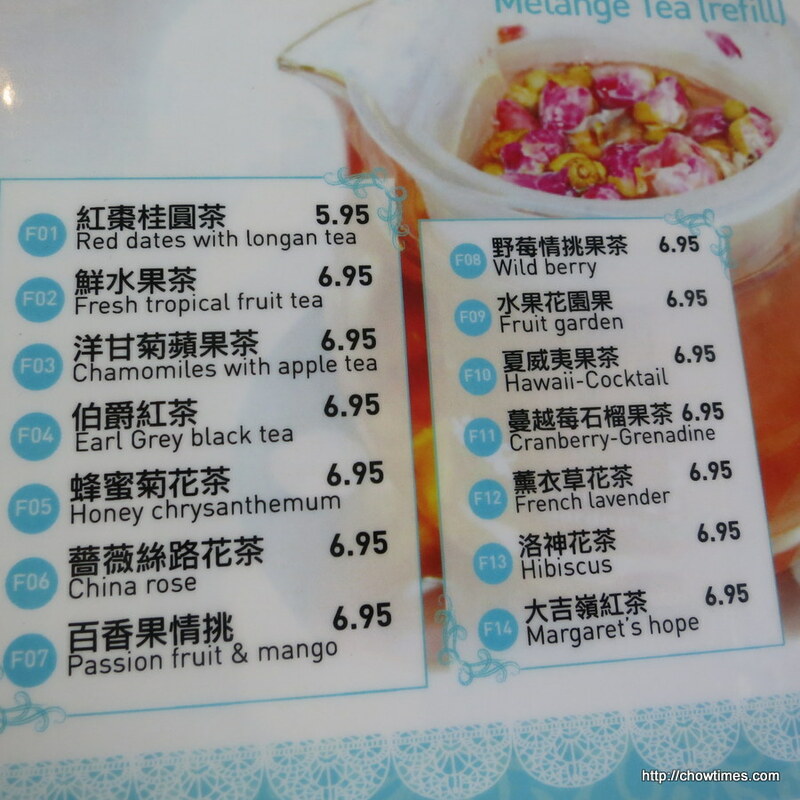 The above are the list of tea that we can choose from. 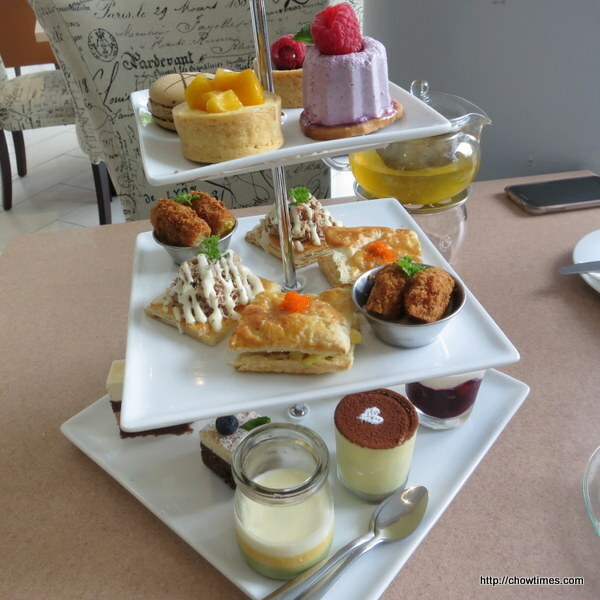 The 3 Tier Dessert Set comes with 2 choice of herbal tea. 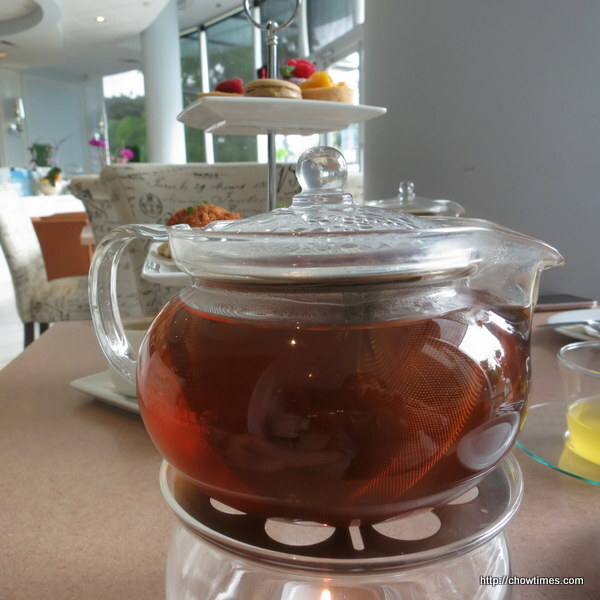 The above was recommendation by the server; Fresh Tropical Fruit Tea. 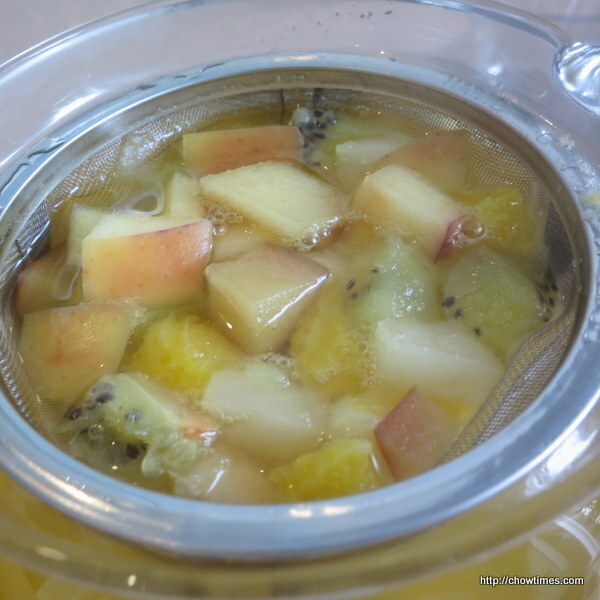 The fruit include apple, kiwi, pineapple and orange. We enjoyed this tea. 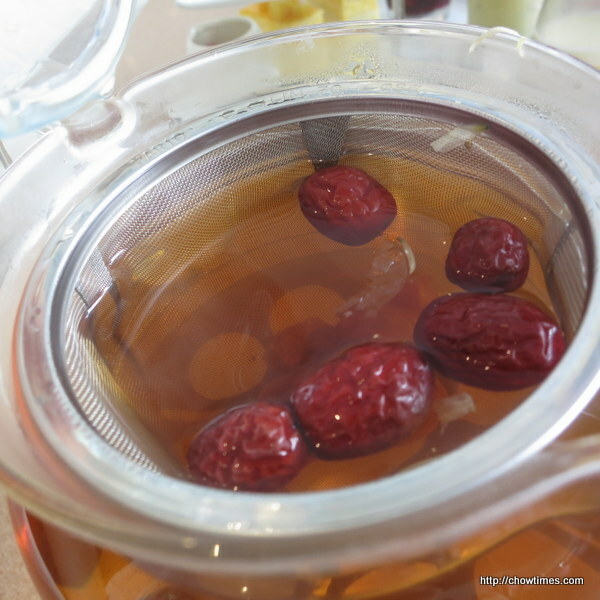 Our second choice is Red Dates with Longan Tea. I like this tea as it good for blood circulation. The tea comes with a free refill. After dinner in Miku, we decided to go somewhere else for dessert. 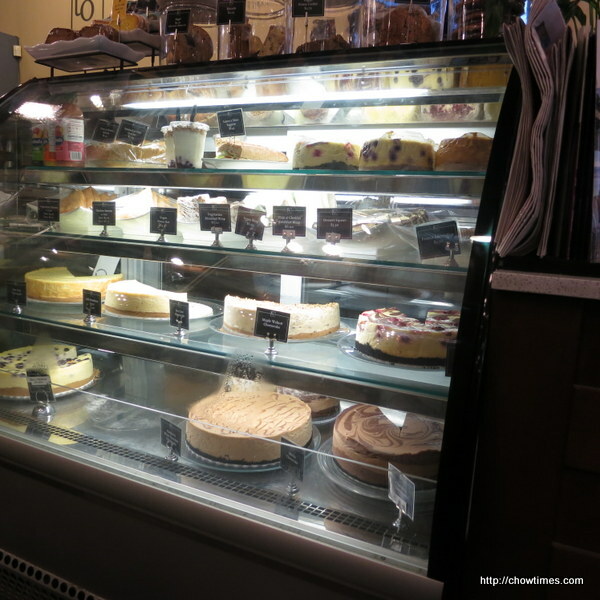 Polly suggested to go for the best cheesecake in town, her favourite dessert. 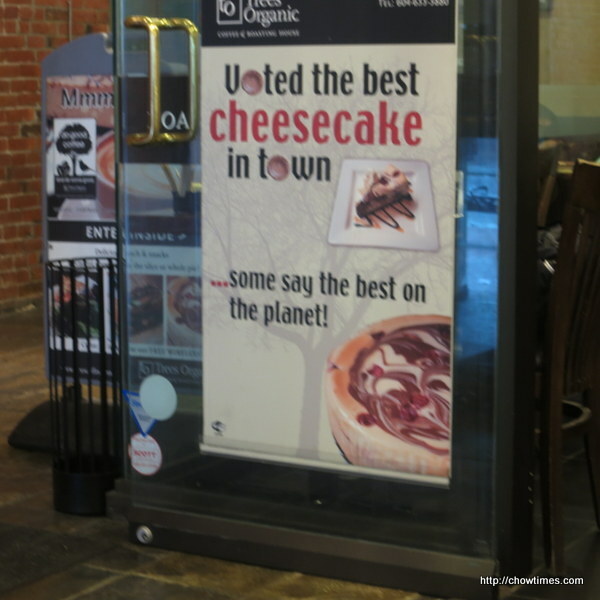 We went to the Trees Organic Cheesecake on Water St. 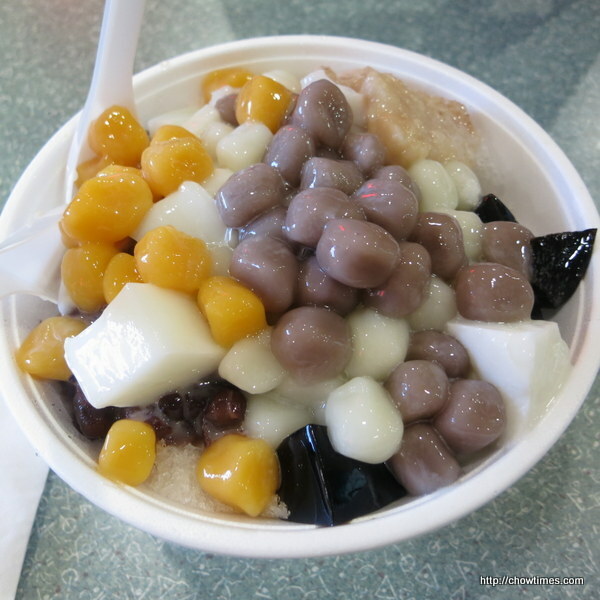 There is another one on Granville St.
A great dessert for a hot summer day. This eight treasure shaved ice costs $6.25. It’s a good size enough for Ben and I to share. 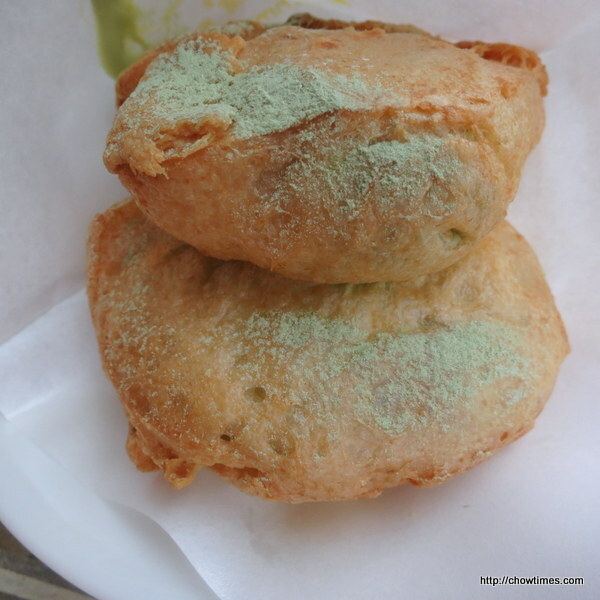 On cold days, you can opt for the hot version. 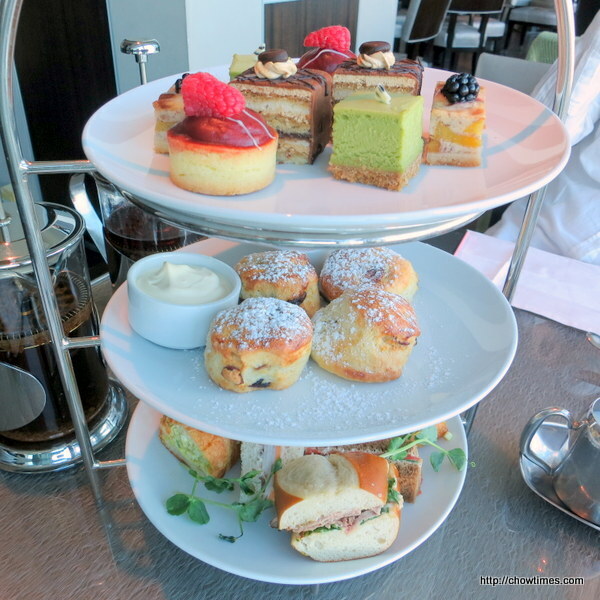 Polly bought a groupon for afternoon tea at the Fairmont Vancouver Airport. It’s been a while since we met after she’s back to work full time. 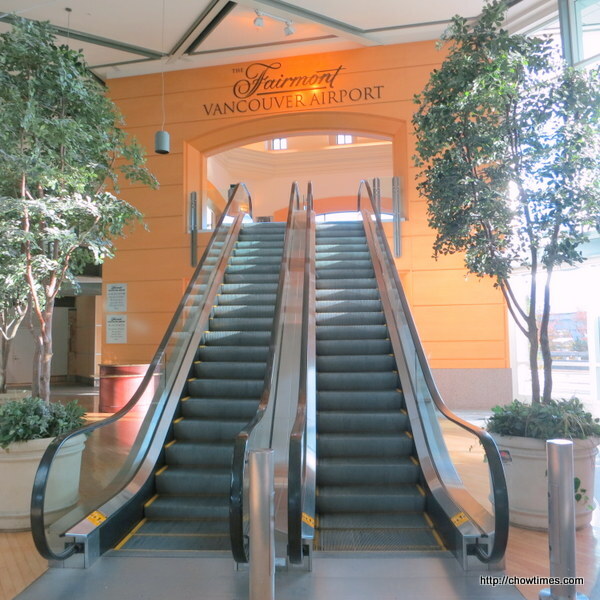 The entrance to the hotel is via the departture hall, at the far end of the US airlines section. The groupon comes with a 2 hours free parking at Parking Lot P2. 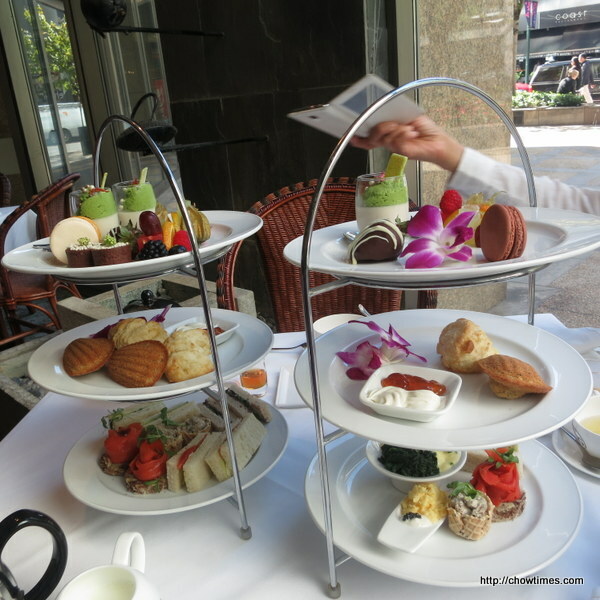 Afternoon tea starts at 2:00PM. 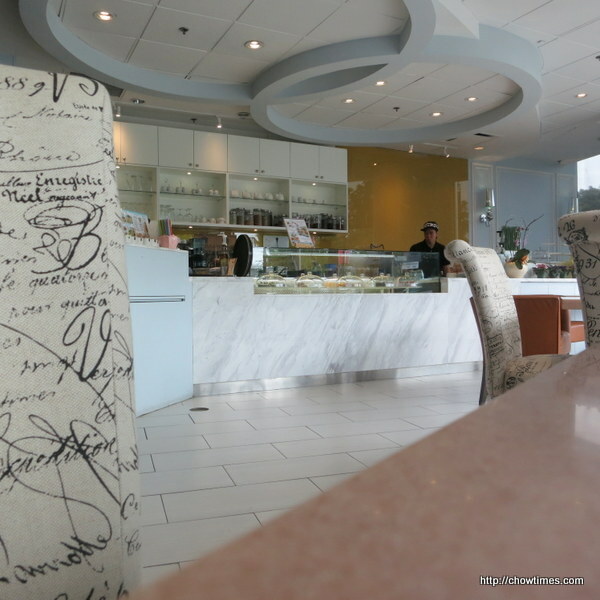 We reserved seating for 2:30PM and it was not busy at this hour. 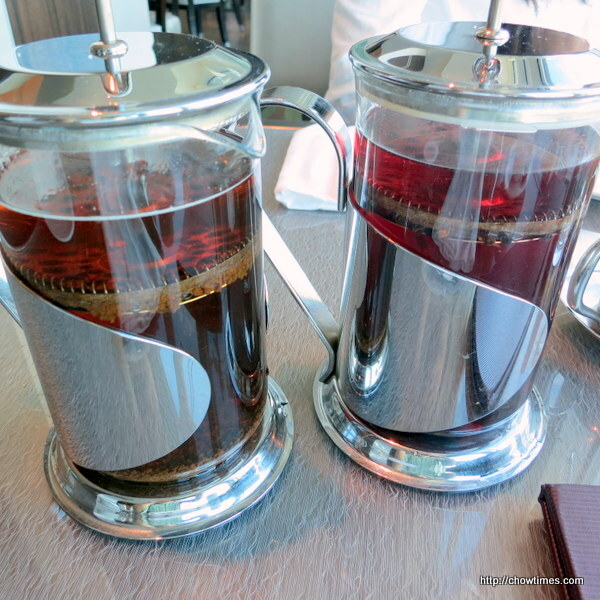 I picked the Fairmont Vancouver Airport “Jetsetter” tea which is the signature tea here. The reason I picked this is that it’s low in caffeine. I have trouble sleeping if I have caffeinated drink after 2PM. 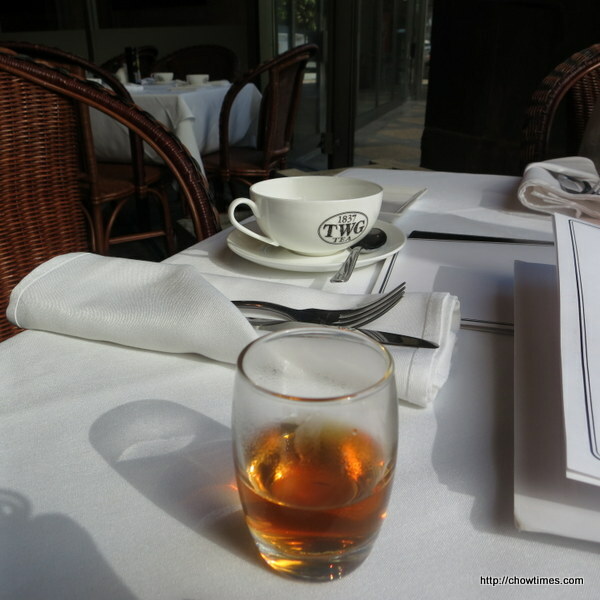 This tea has a light malty flavour. 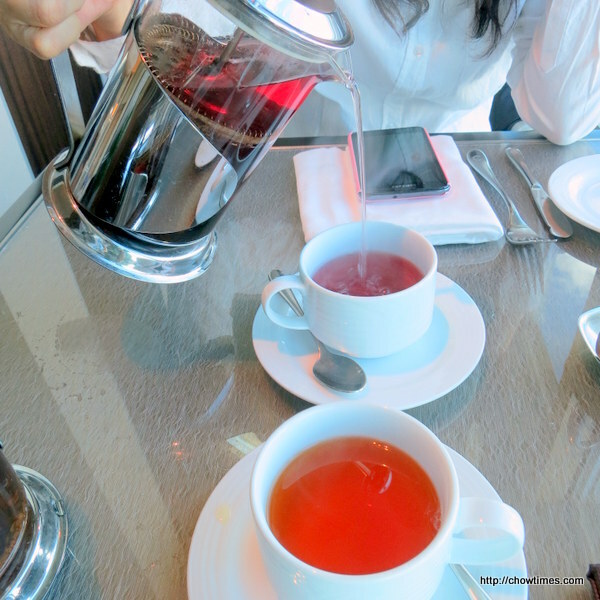 Polly selection of tea is Berry Berry with a deep berry notes and a rich burgundy color. 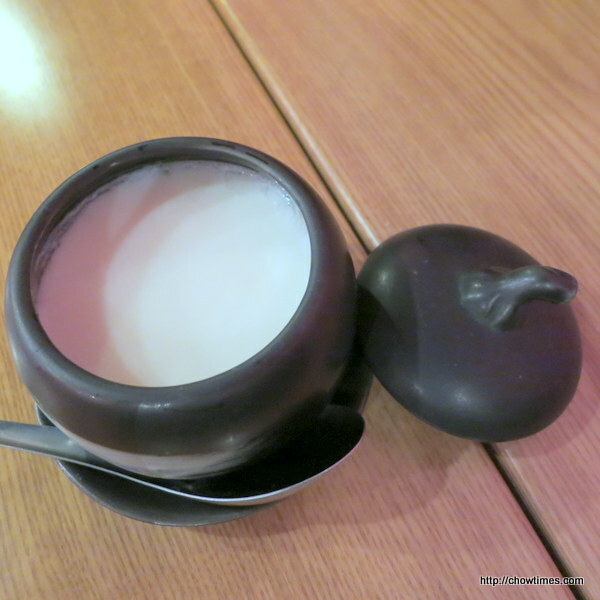 The server advised us not to add milk to this tea as the milk will curdle. After attending the “A Night of Hope with Joel & Victoria”, me and my girl friends decided to go dessert. There is not a lot of choice at the late hour. 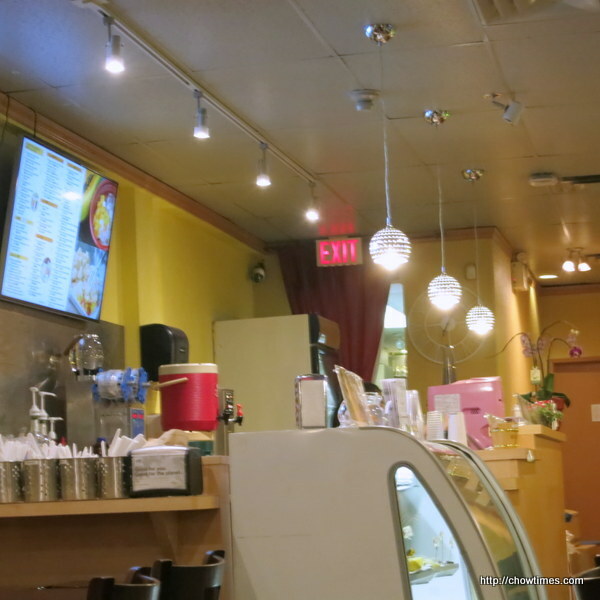 We went to Sweetie Pink on Westminster Highway, across the Richmond Public Market. 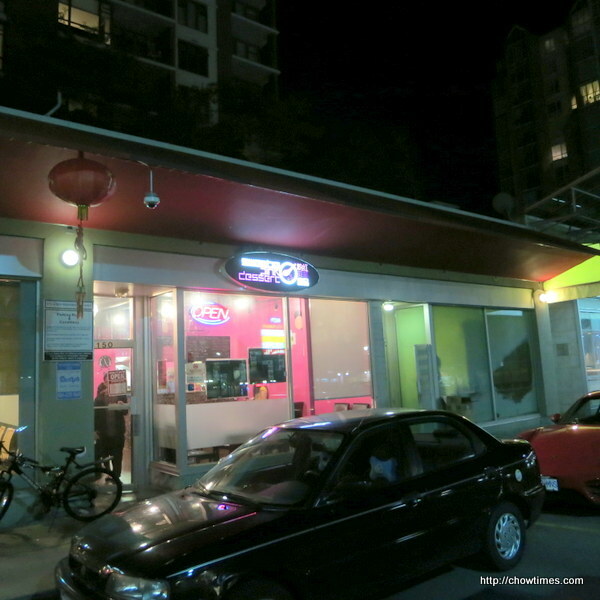 The place was painted pink just like it’s name suggests. 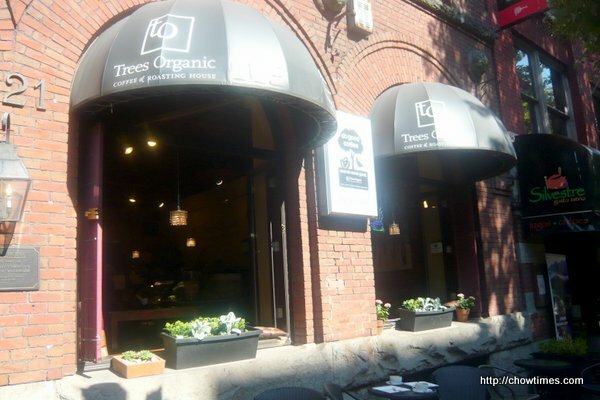 Polly suggested to meet at Trees Organic in Gas Town as she enjoys Trees Organic’s cheesecake, the best cheesecake in Vancouver. 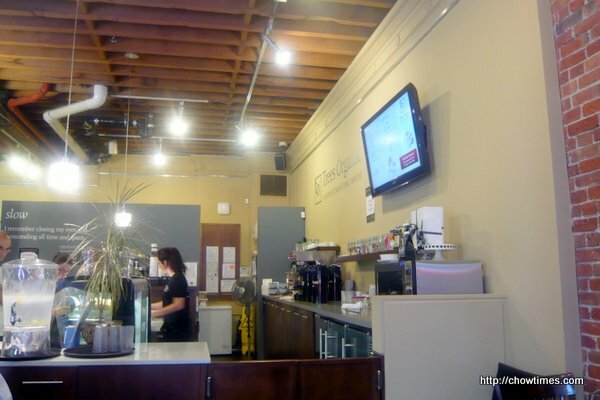 Our first visit to Trees Organic is at the Granville location. 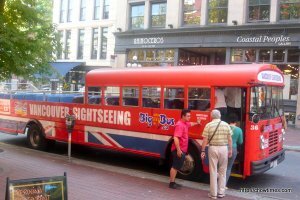 We parked in the River Rock Casino and we took the Canada Line to the Waterfront station. 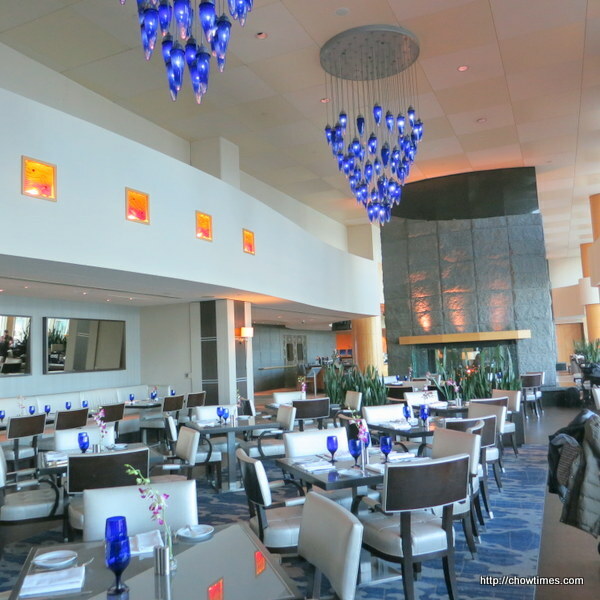 Parking at the River Rock Casino is only $2.50 for the whole day. We found a table by the window, next to the potted plant. It is a great seat to watch people. 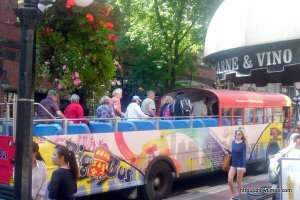 There were lots of tour buses parked on the street just outside of Trees Organic to load and unload tourists.